This is a 5000 sqft club in the heart of Jaipur City. 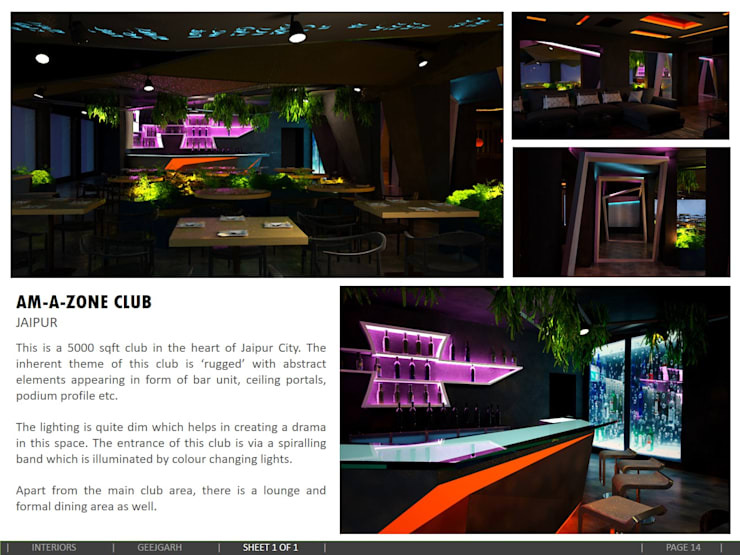 The inherent theme of this club is ‘rugged’ with abstract elements appearing in form of bar unit, ceiling portals, podium profile etc. The lighting is quite dim which helps in creating a drama in this space. The entrance of this club is via a spiralling band which is illuminated by colour changing lights. Apart from the main club area, there is a lounge and formal dining area as well.